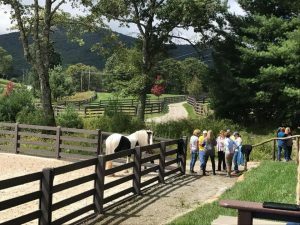 Whether you’re looking for a fun and powerful team-building event, a day of personal reflection or a leadership deep-dive, at the cutting edge of experiential work and learning is “Equine Facilitated Learning” (or Equine Coaching). 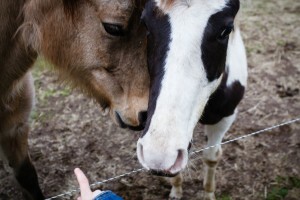 Equine Coaching experiences are centered around immersive exercises and interactions with horses. No horse experience is required and no riding is involved — Just curiosity and a willingness to show up. These experiences are designed to enable clients, whether individuals or teams, to see themselves more clearly and become aware of how their mental habits and patterns might getting in their way. Amazing. Healing. Revealing. Magic. Fun. There are many ways for you to experience Equine Coaching for yourself…Come out on your own, bring a friend or family member, or set up a Team Building event for your group. I truly believe that Equus Coaching Sessions and Equine Facilitated Learning Events are a beautiful and unique way to accelerate your personal and professional development experiences. You can enrich your relationships, develop greater self-awareness, enhance your leadership and communication skills, and find your self-confidence. What on earth is Equus Coaching? Equus Sesssions are held at one of my partner arena’s with their horses (my co-facilitators). 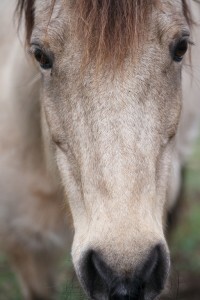 In an Equus Session/Small Group, myself and my team (horses, and in some cases an additional human or two) will guide you through various groundwork exercises where you will interact with a horse while I coach you – think of the horse as a powerful visual metaphor and mirror for your energy and life experience. 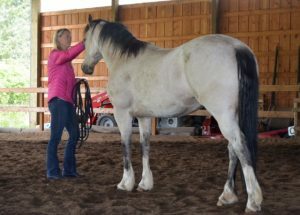 My Equus Coach Mentor, Koelle Simpson, was once featured in “O” magazine, and this article may describe the experience better than anything I could conjure up for you – Take a read! Some things to note: All activities are groundwork activities, there is no riding involved, and no experience required. Afraid of horses? No problem – I’ll be right with you every step of the way! 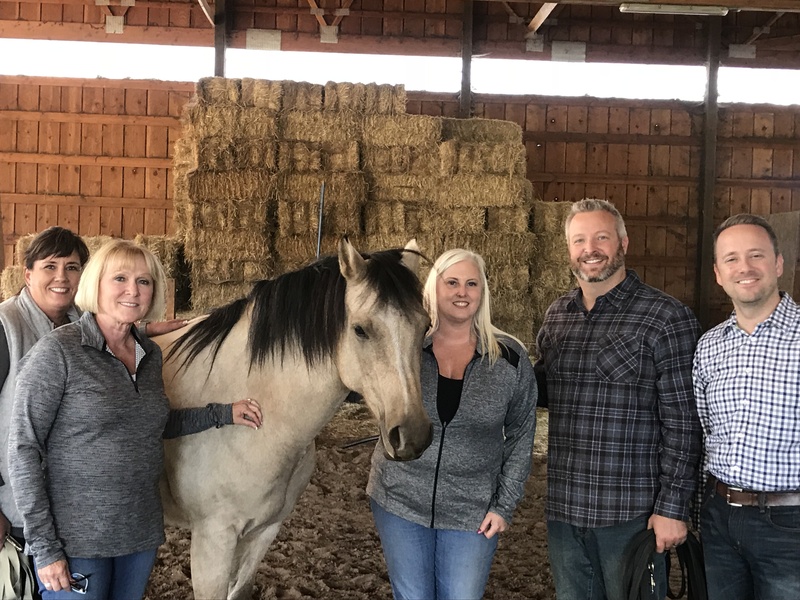 In Oregon, my primary partner facility is located in Canby, Oregon (Check them out here) – though I am happy to travel and identify locations throughout Oregon, the US, or anywhere in the world in order to set up a partnership where we can host your Equus Experience! 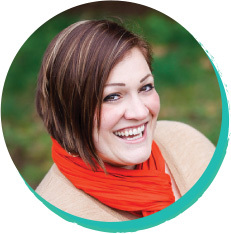 Simply send me an email or book a complimentary strategy session and we’ll start creating! What Can I Work On With Equus Coaching? 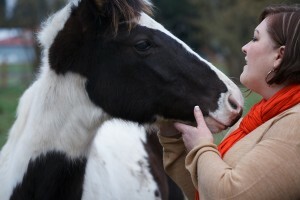 Equus Sessions can be designed to work through any persistent area of dissatisfaction. 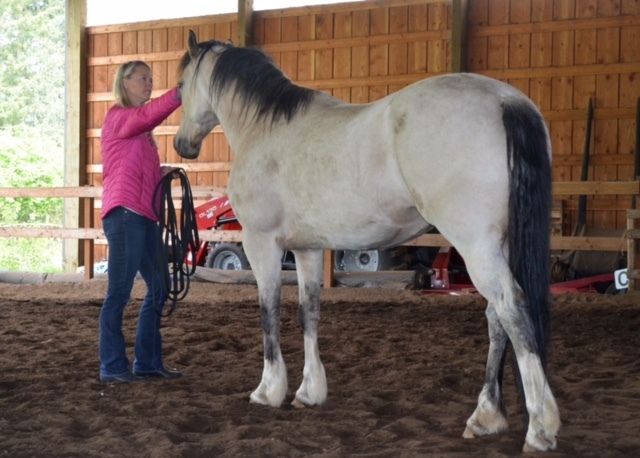 Equus Coaching is a visceral experience – when you’re interacting with a 1500 lb animal, your thought and behavioral patterns surface pretty quickly. My role as your coach is the same in an Equus session as it is in a phone or office session…I make observations about what I notice in your behavioral patterns, throw out hunches, offer fresh perspectives, and coach you in ways to show up differently. 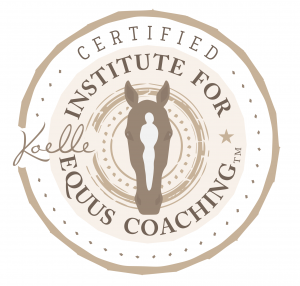 Why do you recommend Equus Coaching? It just so happens that one of my most transformative experiences happened to be standing in a round pen with a horse (during an Equus Workshop, in front of virtual strangers). When I entered the pen I remember thinking “what the hell am I doing”….more than once. I had no idea what I was doing there or what good could possibly come from this experience – and I had paid for it, no less! I was extremely displeased with myself as I entered that pen…but boy oh boy….was I in for a wake-up call. I remember that terrifying feeling of not knowing what I was supposed to be doing, and watching Niveus (the gigantic albino white rescue horse) standing on the far side of the pen, while I walked around, clicking at him and tossing the rope against my leg. All I could hear inside my head was “FOOL WHAT ARE YOU DOING? ?” when all of a sudden…..
“What are you trying to do?” my coach asked me from outside of the pen. “Um….” (I stalled, desperately trying to come up with the *right* answer) “I’m trying to make him….move” I answered. “Ok….and how are you feeling?” Me: “Like I must be doing something wrong.” Coach: “And where else do you feel like this in your life?” Me: “Um……I don’t…..” I started blubbering….and then, finally, giving into the tears…. “everywhere.” The coaching proceeded from there….and eventually, as I started being honest (and clear) with myself, and with my Coach, Niveus strolled right up behind me and patiently waited for me to ask him to do the next task. 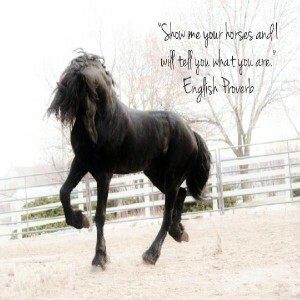 It is a strange and powerful experience to see what a horse is willing to show you. There is most certainly science behind it…theories about mirror neurons, and studies about the heart’s electromagnetic field…While I am no scientist, a bit of research can dig up all sorts of fascinating studies around the human/horse phenomenon. What I know is this: I walked away from that workshop KNOWING that this was the work I was meant to share with people. 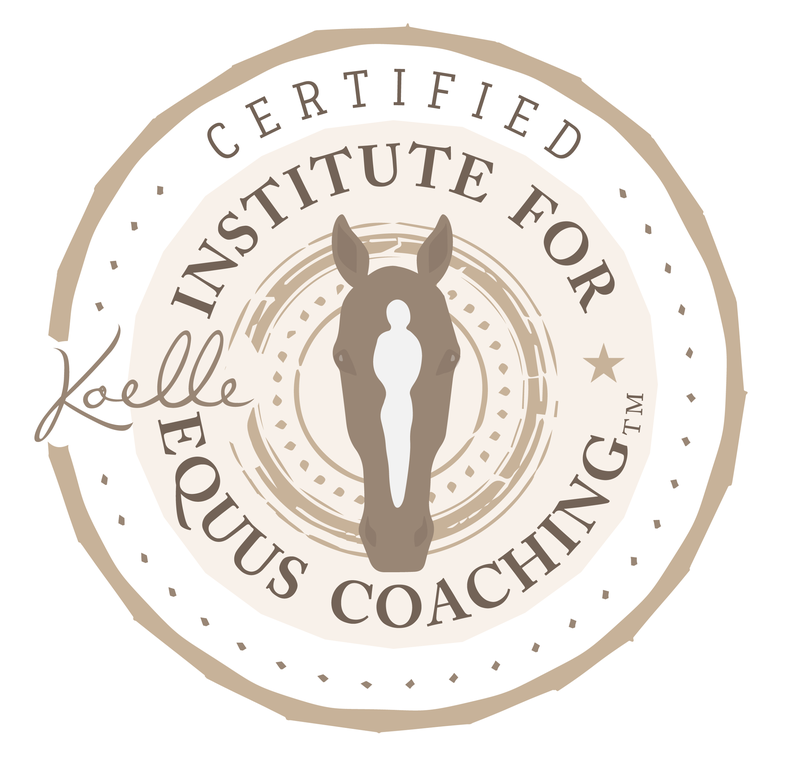 I went home and immediately applied for the Equus Coach Training, and a year later received my Equus Coaching Certification. In addition to one on one work, Equus Coaching for pairs or teams can be centered around boundary setting, clear communication and leadership. Leadership teams and family units have all been buoyed by the magic of the experience. Just one word of advice…when you enter here, it is a safe and sacred holding space for whatever comes up. Horses won’t lie, so you’re going to want to come prepared for the truth (and all of the freedom that comes with it). 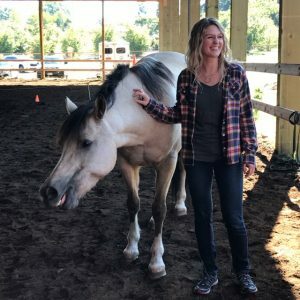 Thank you for your interest in LEAD™ – A unique professional development experience, focused around Equine Facilitated and Experiential Learning. 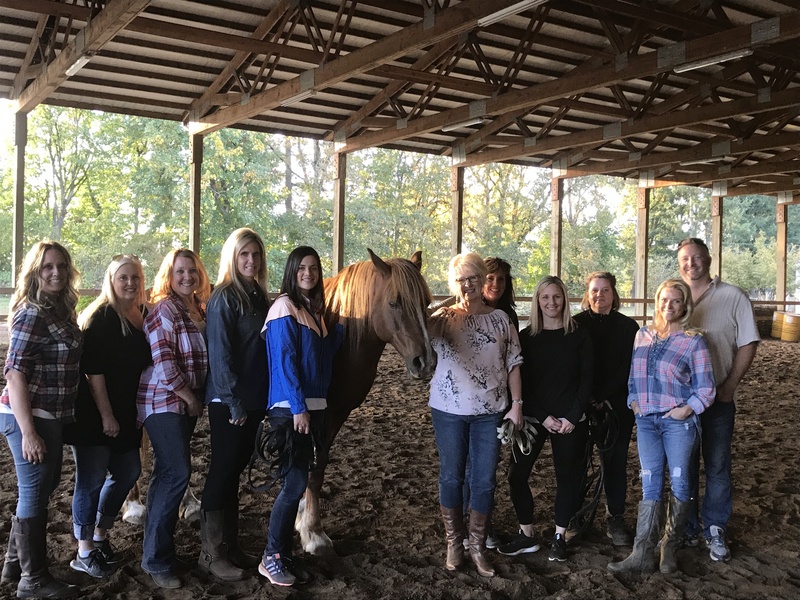 There is absolutely no substitute for first-hand, experiential learning – which is why Equus Coaching™ and Equine Facilitated Learning activities offer professional development in a way that you’ve probably never experienced or imagined. LEAD™ is an in-person, 2-day Leadership Development Retreat in the heart of Oregon Horse Country. Participation in LEAD™ is limited to a small group of professionals, seeking to improve their ability to manage daily stress, improve self-understanding, and subsequently to improve their confidence, communication, and interpersonal relationship skills. Learn….how to manage daily stressors and overwhelm, and in turn, how to positively affect their environment. Engage…with the world around them as authentic leaders, by becoming fully immersed and present in the learning environment. Adapt…to a unique style of being and doing, by practicing self-awareness, and tuning into their own abilities to understand, communicate and influence others. Develop… skills related to non-verbal communication, energetic awareness, emotional intelligence and critical thinking that will support not only professional development, but participants’ personal lives as well. Prior to the in-person LEAD™ Retreat, group participants will complete a short pre-work activity and self-assessment, and participate in a group call with their cohort to prepare for the event. Once onsite, Meagan will lead participants through a blend of Equine Facilitated Learning (EFL) activities and traditional group reflection and discussion. EFL activities are ground work only – no riding is involved, and no experience is needed! All Activities over the course of the LEAD™ retreat will be focused around supporting participants in learning to LEAD™, first through self-awareness, and subsequently through work with others. Following the in-person portion of the retreat, participants will participate in (3) weekly calls with their cohort to maintain momentum, focus and support as participants integrate what they’ve learned from LEAD™ into daily life and work. *Ongoing individualized coaching is available separately and upon request. 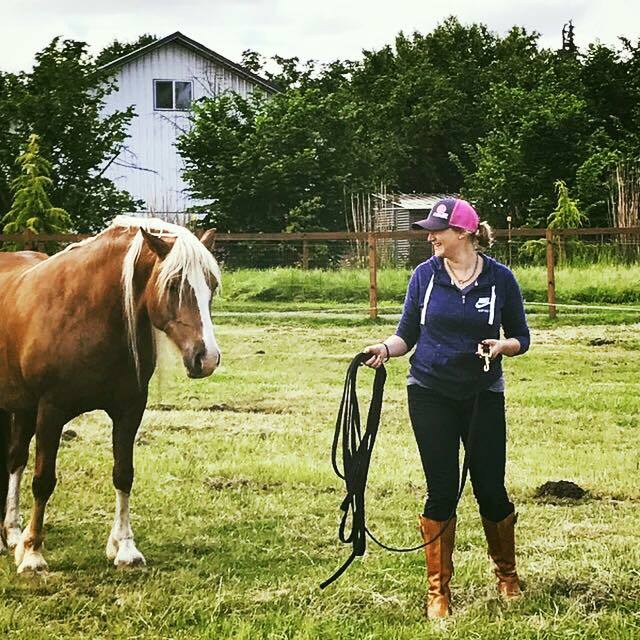 The 2-Day LEAD™ retreat is hosted in beautiful Canby, OR (the heart of Oregon Horse Country). *Company-specific or private events in Oregon or elsewhere can be arranged. This retreat is designed to be intimate, intensive and immersive, and designed around a group experience that will help you change the way you look at work, leadership and life. Grab your boots: I’ll meet you at the farm. *Fees do not include travel/boarding, breakfast or dinner – Take the opportunity to explore Portland and the surrounding areas! Email me or set up a complimentary consultation now! 2019 Events are currently being planned! I can’t wait to meet you at the farm! Ready to set up your own Equus experience? Get outside. Out of your comfort zone. Do something different. Do it for you. Book a consultation now, and let’s get your boots on. Honestly…Initially, I was pretty skeptical. However, as the session unfolded, I loved how Meagan allowed the horse to participate in the ‘conversation’. If you’re considering an Equus session, you should know that it is definitely a worthwhile experience – but parts of it might be emotional. Meagan definitely has a gift when it comes to breaking down emotional walls and encouraging self-healing. I was very skeptical going in to the Equus session, as I have a fear of horses. But thanks to Meagan’s gentle and loving nature I’m now a believer! Meagan’s work is powerful and life changing. I have areas in my life that I know I need to change but I didn’t have the tools or courage to do anything about it. Having Meagan and the horse to intuitively guide me has brought to light areas that I need to work on. I’m still reflecting on the powerful learning I had that day, and will carry it forward with me. I’m grateful to have had this experience and it was an honor to work with Meagan. I will be recommending her to all of my friends and colleagues!